President Donald Trump will deliver a televised address to the US at 1:00pm AEDT addressing border security. So what can we expect? US Vice-President Mike Pence says the White House is looking into the legality of declaring a national emergency during that speech to get funding to build a US-Mexico border wall. But it’s not as simple a just as calling a national emergency today, and starting construction on the wall tomorrow. Mark Tushnet, a constitutional law professor at Harvard Law School described declaring a national emergency as “a very aggressive use of presidential authority”. “The fact that it’s aggressive doesn’t mean it’s unlawful,” he said. Here’s how a declaration could play out. Legal scholars agreed that a court test would likely focus on whether an emergency actually exists on the US southern border. The limits of presidential power over taxpayer funds is also likely to be tested. Mr Trump triggered the partial shutdown of the Government by demanding the inclusion of $US5 billion for his proposed wall in any legislation to fully reopen agencies, which have been closed since December 22. 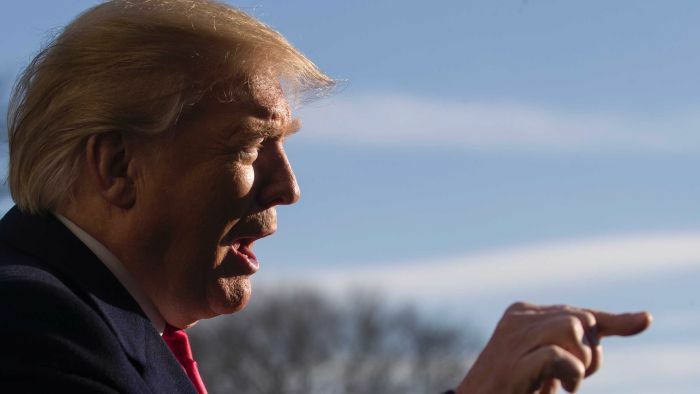 But declaring a national emergency is likely to result in a long court fight, possibly stretching into Mr Trump’s 2020 re-election bid and emboldening critics who accuse him of authoritarian tendencies. Mr Trump may argue illegal immigration constitutes a national emergency, entitling him to mobilise the military to the border and use Defence Department personnel to design and construct a wall. One way to challenge such an assertion would be to demand Mr Trump show in court that an emergency actually exists. Congress can override Mr Trump’s potential declaration, but it requires approval by both chambers. As of last week, the House of Representatives is under the control of Democrats. They’ve already said they would be opposed to using a national emergency to build the wall. But the Senate is in the hands of Mr Trump’s fellow Republicans, so getting both chambers to agree to overturn the declaration is unlikely. Even if he decides to declare a national emergency, things could get tricky. Mr Trump will need to get his wall money out of funds already allocated by Congress for other purposes. He could run into problems if he tried to shift funds dedicated to something else over to his wall. Congress does give federal agencies some money without clear priorities. Mr Trump would likely need to tap that kind of funding to avoid violating congressional authority. Mr Trump has not shied away in the past from unilateral action. But the liberal Centre for American Progress said a national emergency strategy would be “illegal, plain and simple”. So, will he actually do it? Mr Trump is under growing pressure to find a way to end the shutdown without appearing as though he’s caved on the wall. On Fox News, his former campaign manager Corey Lewandowski said Mr Trump “needs to use every tool available to him as the commander-in-chief of our armed services to go and enforce our laws by putting the military on our southern border, by having them build the wall if they need to”. White House spokeswoman Mercedes Schlapp said the Oval Office address will “make his case to the American people, talking about how this is a humanitarian crisis and a national security crisis”. She declined to say whether the President had made up his mind about a declaration, but said his aides had been “working with counsel’s office to find resources for securing the border”. Mr Trump will also be travelling to the border on Thursday to continue to press his case.